The roofing contractor has one of the most hazardous of jobs. The main risk is the most obvious: falling. 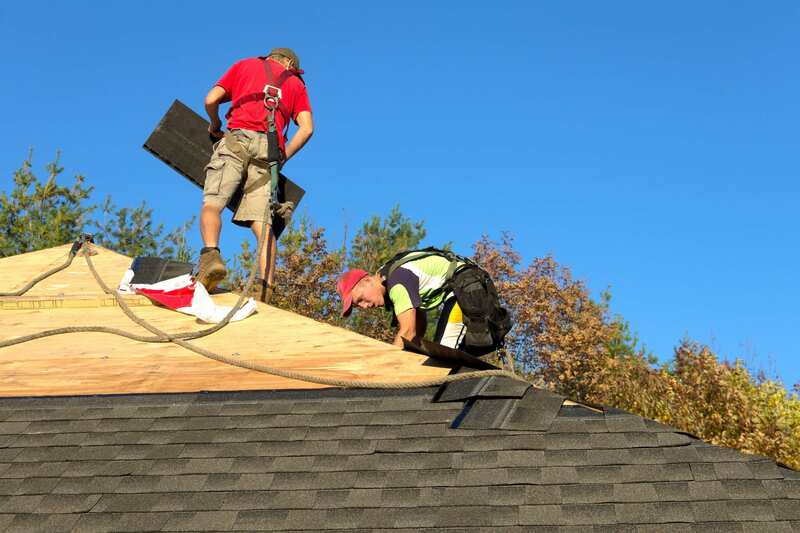 Beyond physical injury, the roofer faces yet another risk, which is the liability for actions or lack of actions which cause physical or financial harm to others. Below are some of the liability risks faced by roofing contractors. Bodily injury. The roofer works with tools at a height. This places people below at risk of injury from a falling object. There are seemingly countless ways that injury can occur. The injury doesn’t even have to happen at the work site. A client (or anyone) could be injured at the roofer’s place of business. Property damage. Property damage can occur as a direct consequence of the roofing work, such as dropping something on a car or breaking a window with a ladder. The damage can also occur as the result of faulty work, such as water damage from a leaking roof. Personal injury. The work or actions of the roofer may damage the customer’s (or anyone’s) reputation or rights. For example, a roofer could slander a competitor’s reputation by speaking badly of the competitor’s work to his customers. Advertising injury. Advertising that is blatant or barely concealed slander of a competitor (or of anyone) could harm the other’s business or reputation. Any of the above can potentially cause a lawsuit. Accidents of all kinds can and do happen. Even accidental or unintended slander can happen to anyone who doesn’t carefully think through the full implications of his or her statements.